When you see Diwali lights scattered across the city, you know that the festive season is upon us. These sparkling lights tend to instill a sense of joy and generosity in everyone. Imagine if you could have this feeling around the year, all 365 days. That is possible if you make a Diwali lights decor part of your home. 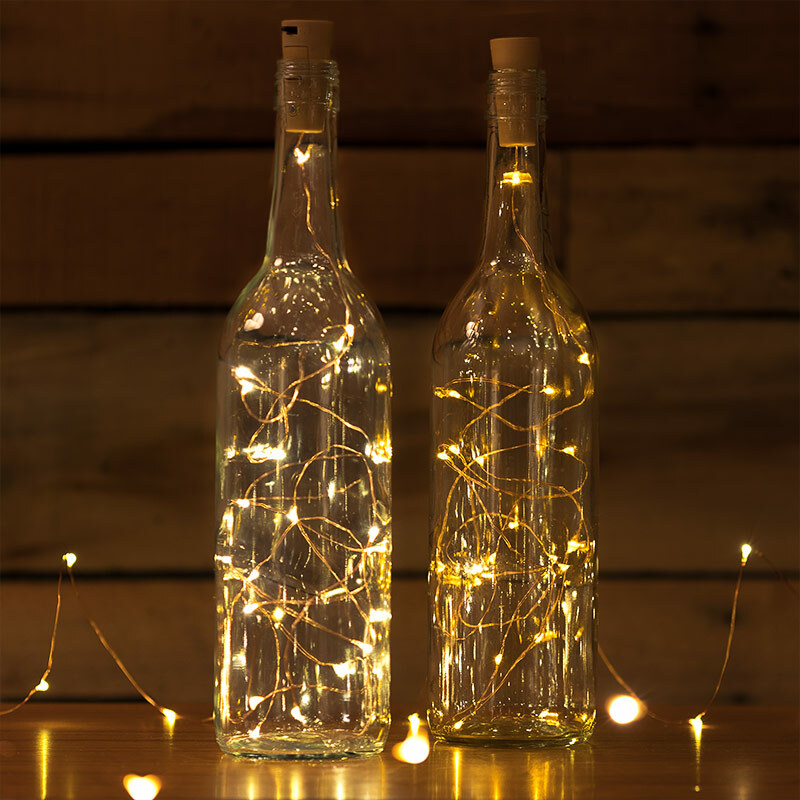 Instead of rolling up those lights and stashing them away for the next occasion, make them a part of your home and feel that festive cheer around the year. Here’s how you can reuse Diwali lights at home with a little DIY. – If the bottle has a sticker on it, soak it in warm water and soap for about 10-15 minutes. – Use a dishwashing sponge to gently scrub the bottle and take the sticker off. Wash off any remains of soap and wipe it dry. Let the bottle dry completely from inside before proceeding. – Stuff the lights into the bottle. The brightness of the lamp will depend on how many lights are in the string. – Keep the plug outside and connect it to the nearest electrical outlet. Voila! Your bottle lamp is ready. 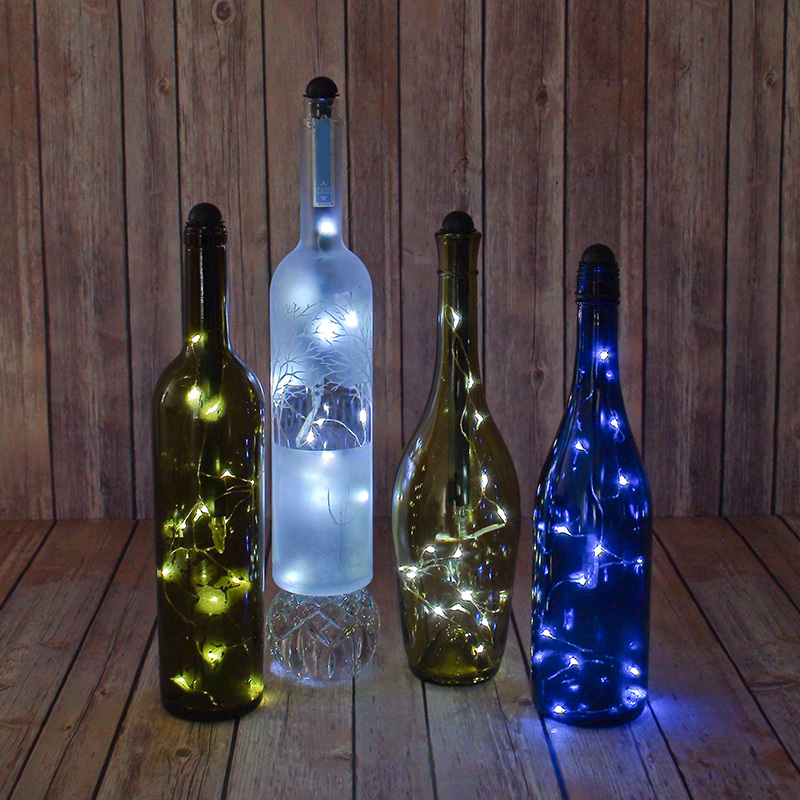 You can use these as bedside lamps or put them in corners in your living room for romantic lighting. This doesn’t even need much planning or execution. 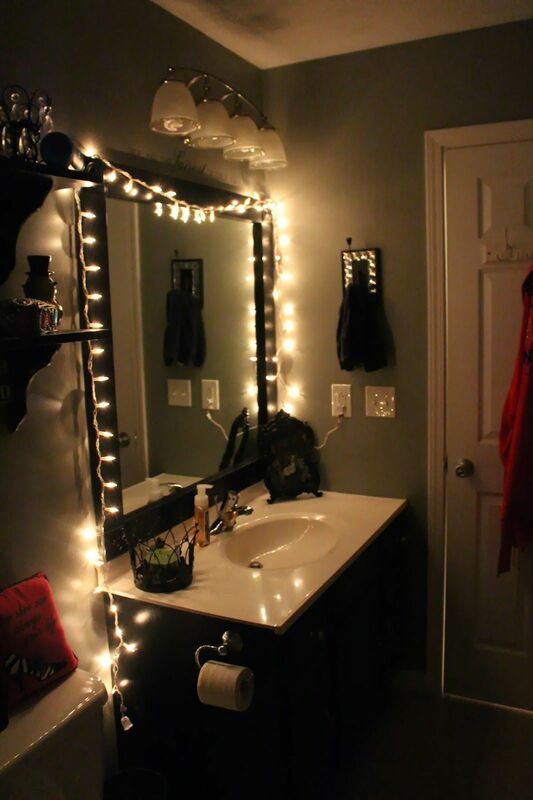 All you need to do is wrap the lights around the border of your mirror and plug them in. This makes for great lighting when you need that extra brightness for pictures or when you’re doing your makeup. For mirror lighting to work, you do need to make sure that you have an electrical outlet near the mirror. While this is a functional idea, Diwali lights around a mirror also look beautiful and very Pinterest-y. Everyone has conventional lamps in the corners of their living rooms. You can go a different route by using Diwali lights as ambient lighting in your home. Throw them casually around a picture collage or wrap them gently around an indoor plant. When these lights are plugged in, and every other light is off, the visual is absolutely stunning. 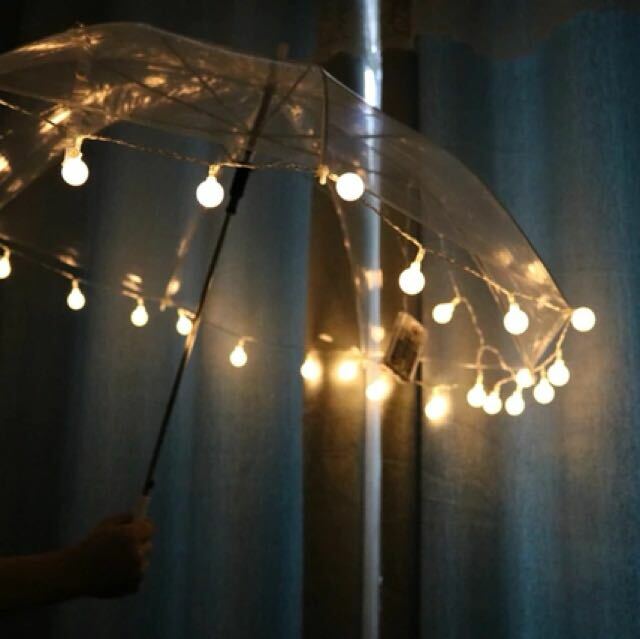 Yes, you can make low-cost umbrella chandeliers with Diwali lights. These need a fair amount of work though. – Get small hooks installed in your ceiling, if you don’t have them already. These should be big enough for an umbrella handle to go through and small enough to not let the umbrella hang too low. 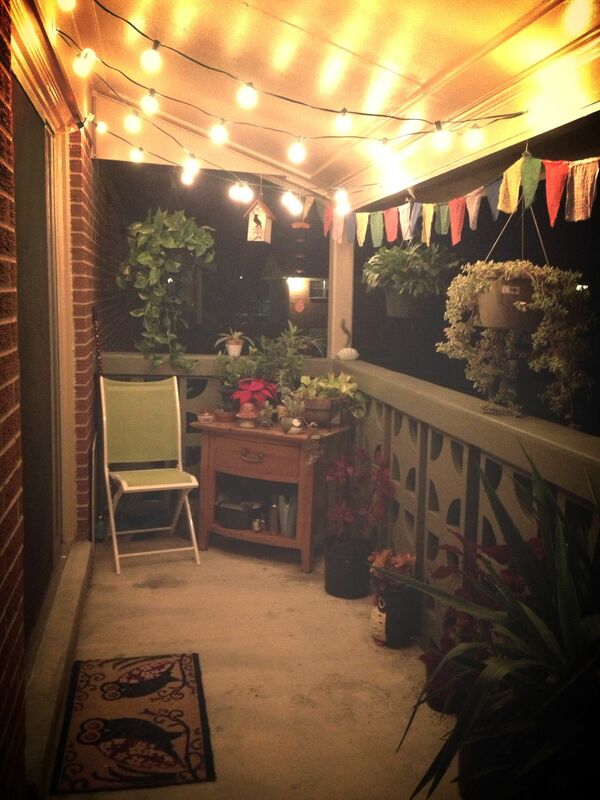 – Hang the umbrella and arrange fairy lights in it. The lights can just be spread around the umbrella and loosely fastened to the ends to create the look you want. – Next, wrap the loose wire around handle and make it as taut as possible. This will light up the umbrella handle as well. Alternatively, you can also leave the spare lights hanging out of the umbrella. – Hire an electrician to do beading on the ceiling and the wall till the electrical socket. This will hide the wire and make it almost imperceptible. – Plug it in and your umbrella chandelier is ready! Instead of staring up at a boring ceiling, you can now lie under the glowing stars every night. Hang light drapes around your bed and fix them on to the ceiling and the wall. This will make them fall around the bed without collapsing on it. Next, throw your Diwali lights on these drapes and spread them around casually. Plug them in and you’ll have a beautiful, starry canopy for your bed. This is one of the easiest ways to incorporate a Diwali lights decor in your home. 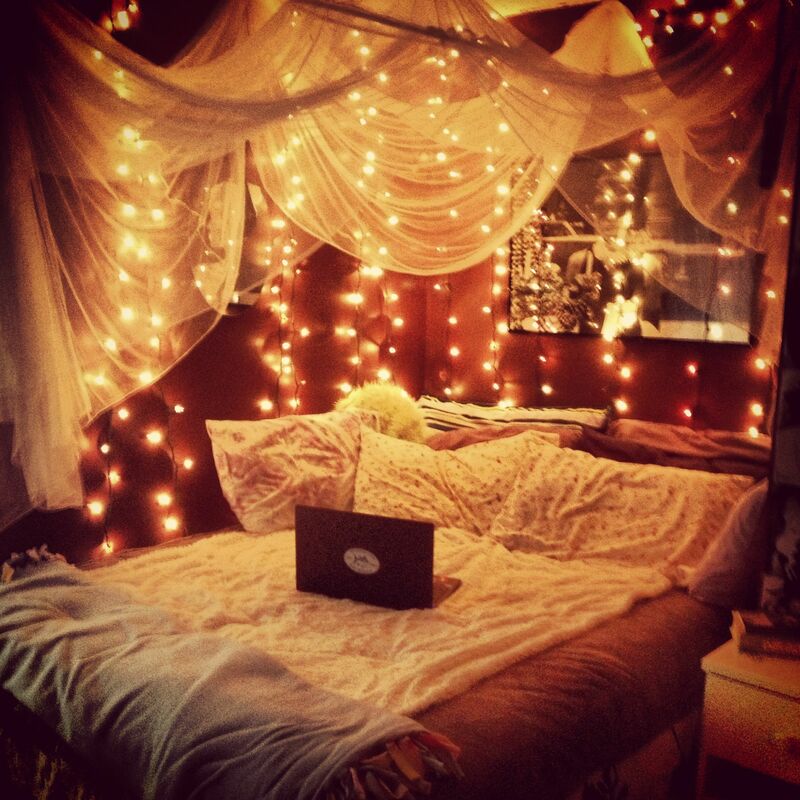 Wrap the lights around your headboard and plug them in. Use tape to fix them in place around the corners, and you’re done. This makes for romantic, ambient lighting, and it can be used as a reading light too. You may never use your regular lights in the bedroom again. If you love Diwali and all its lights, you’ll be thrilled to know that you can have that throughout the year. 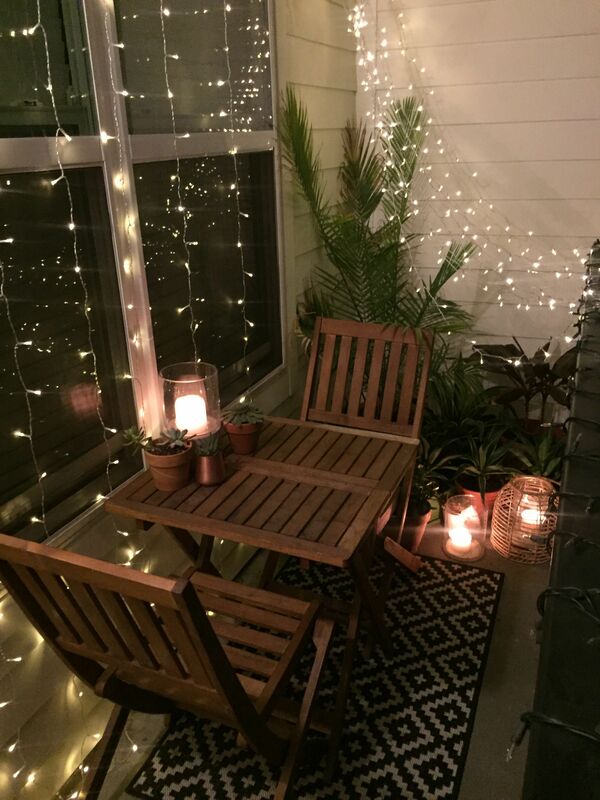 Use your Diwali lights as balcony lighting and you can feel festive every day. Throw them around your plants or wrap them around the railing. You can also tape them up to your ceiling and let them fall like drapes on the wall. Sometimes, you need a little cheer at work to be able to tackle the rest of the day. 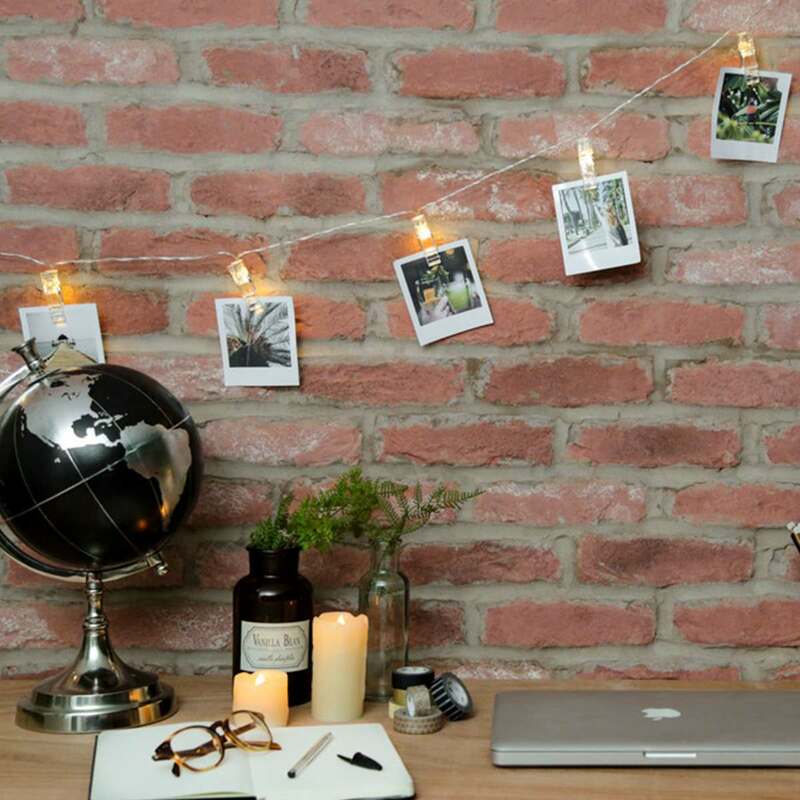 If your office allows it, use a small string of dim fairy lights at your desk. All you need to do is hang them at your workstation and plug them in. You can use tape to secure them in place. The string can also be used to hang pictures of your friends and family. That should brighten up your day when you’re feeling low. So don’t pack up your Diwali lights this year. Use them again and make your home or office a happy, cheerful, festive place.